The Intelligent Parker Amplifier (IPA) is a versatile servo drive/ controller with selectable functionality that gives the machine builder the flexibility needed to create cost-effective motion control solutions. 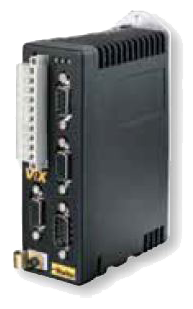 The IPA operates as a fully programmable stand-alone motion controller with on-board I/O and virtual axis capability, or can be integrated into a PLC or PCbased machine control solution. Software tools are included to optimize motion performance and efficiently monitor and manage the application. 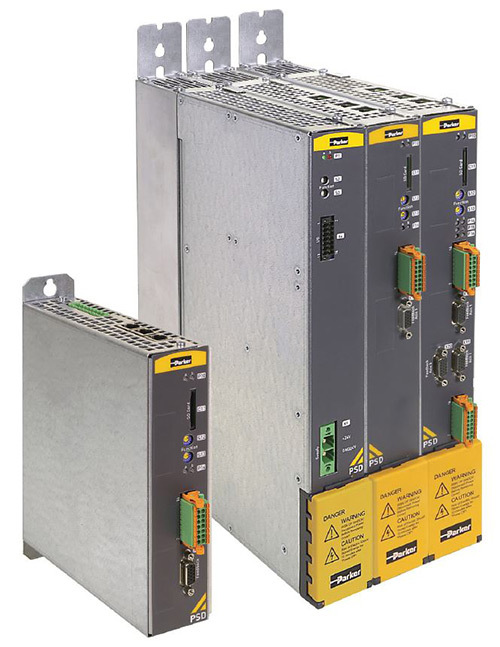 The Parker Servo Drive family, or PSD1, combines the latest in high performance servo technology with features that provide unique value to OEMs and machine builders. Hiperface DSL feedback greatly reduces complexity with only one cable connection between drive and motor. A removable SD card enables rapid drive exchange and software updates. The PSD1-M is the most compact multi-axis servo system on the market and is available with modules as one, two or three axis versions. 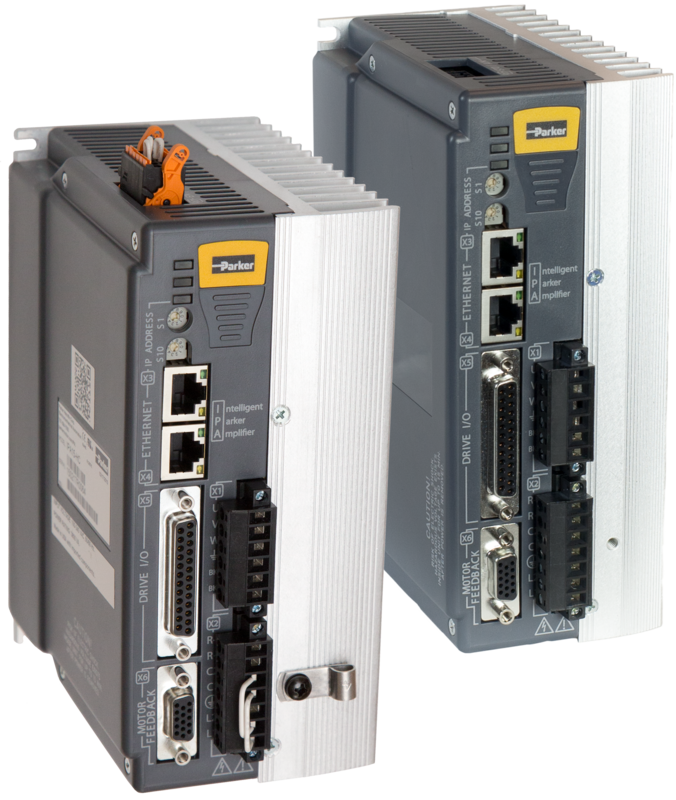 The Compax3 servo drives combine a high performance, digital design with industrial ruggedness and expansive power capabilities Compax3 servo drives are designed for industrial applications with heavy duty features such as built-in regeneration capabilities and AC input line filtering. The wide variety of power levels up to 155 A RMS, ensures that no application is too large for the Compax3 servo drive. Super-slim 50mm width on 10kW PS, M050, M100 and M150 axis units. The E Series is a high-performing, low-cost family of packaged AC-input and DC-input microstepping drives. The P2 stepper drive is an OEM friendly miniature motion drive capable of up to 2 Amps in a 1” x 1” x 3.3” square package.